“Welcome to our office, would you please fill out these forms?” I even saw this in a television commercial just the other day - for a health insurance corporation - but no one is addressing that we are asked to “fill out these forms” over and over again. Most of us lack an accurate, comprehensive knowledge of our own medical histories…and so we fill out the forms to the best of our abilities. We guess and hope that our records are transferred from the previous doctor, at best. Not just our personal history, but family history, what about family history? Family histories are spotty. Paper records are scattered everywhere. Electronic records are susceptible to computer glitches, can be incomplete, and at times, impossible to access - to the point where doctors still rely on...verbal interviews and your memory. If you change doctors, you lose access to that doctor's thick manila folder. Can you even remember who your past doctors were? What situations and procedures you experienced and when? It's too much. But it's also insane to not have this info. Medical history is not optional. Drug interactions, clues to diagnosis, and risk factors can be life-or-death. And not just for yourself; how about for your family members with imperfect memories? We created My Body Passport™ to fill this gap. Now all your pertinent health records across all areas are in one place and at your finger tips. 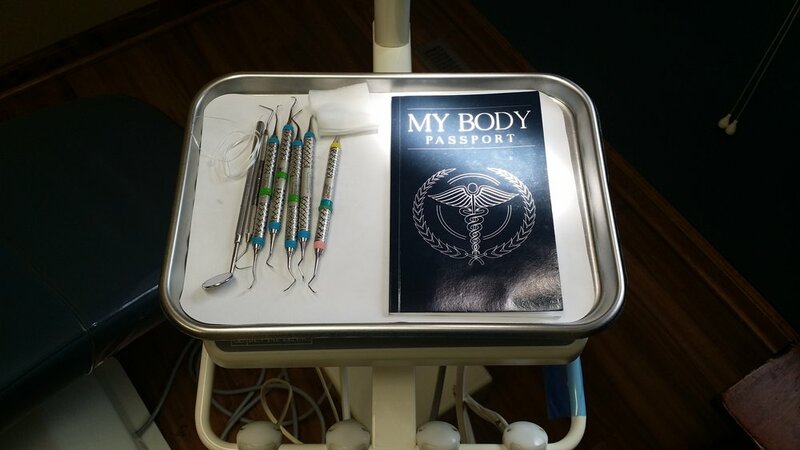 Some of our customers have walked into a new doctor, My Body Passport™ in hand, and the new office simply photocopied the pages of the My Body Passport™. Our customer didn’t have to fill out the information again. With My Body Passport™ the information is all available and accessible.